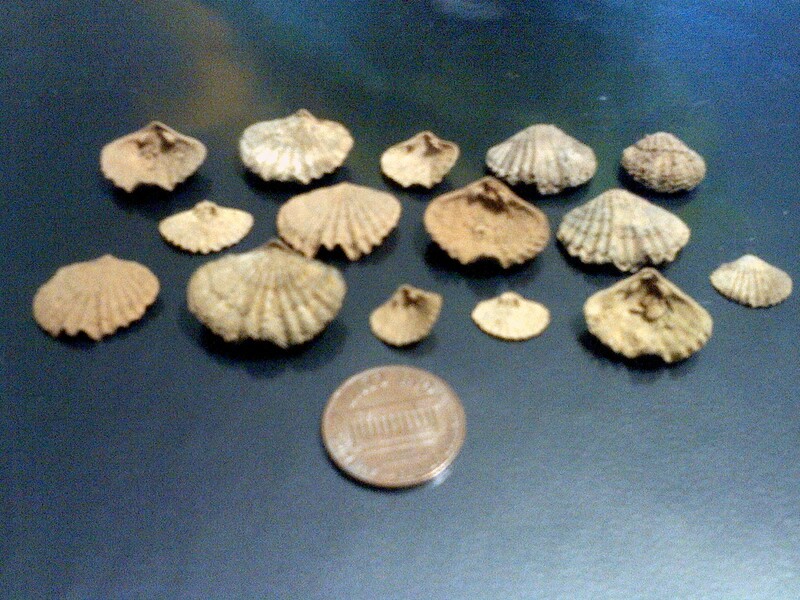 Examples of Leptocoelia flabellites, a Lower Devonian brachiopod preserved in silica. Very abundant in the Glenerie Limestone exposed in roadcut along 9W north of Kingston, NY. Most specimens had weathered completely from the rock. A number include both valves. I think those are really neat! Seeing both valves, inside and out, is a bit unusual with brachiopods. Thanks. This appears to be a great place to study brachiopod anatomy and life cycle. I also have a Camarotoechia dryope which unfortunately did not come out very good in the photograph, but it has both valves and they open and close. Even after 395 million years, it still works!